Forums are valuable for many different reasons, and sites such as Sitepoint and Digitalpoint are more valuable than most. For in addition to serving as a common ground between like-minded community members, they also offer means to market a variety of products and services. Let's see what the relative strengths and weaknesses of each are. 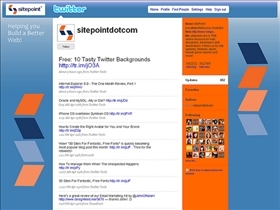 Sitepoint is a site launched in 2005 that started out as an auction type service that allowed users to buy and sell websites. In addition to these services, Sitepoint also owns and operates a logo design service called 99designs, in which more than 20,000 graphic designers submit designs for free or a chance to win cash prizes. In one of the most significant transactions on the site, TechCrunch acquired InviteShare.com in July 2007. 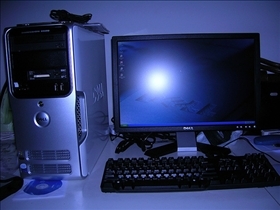 The company has since moved its marketplace services to Flippa.com in June of 2009. 2010 was a particularly favorable year for the company, with Sitepoint having developed a variety of mobile applications for VicRoads as well as other companies. It was also in 2010 that the company announced the development of the first Sitepoint application for the iPad, an undertaking done with newcomers, Unbooked. In the same year, Sitepoint also launched a site called Learnable, in which experts can run courses. Digitalpoint is a similar site that offers a particularly active and knowledgeable base of forum users. Given the number of experts that frequent the forums, the sheer amount of information and ideas provided is absolutely remarkable. Both Sitepoint and Digitalpoint offer numerous opportunities to market anything and everything on the Internet. In addition, the forums are great places to converse online with other Internet marketers. Of course both sites have their advantages and disadvantages, and the main attraction of Sitepoint is in its professional approach and straightforward support. In most cases, you could get more and better answers to coding questions on Sitepoint than anywhere else, including Digitalpoint. Digitalpoint does have the advantage of more non-English speaking users than any other similar site, which should make it attractive to users from outside the United States. In addition, Digitalpoint is the superior site in terms of purchasing websites and domain names, with a more activity community and marketplace. Sitepoint really has no drawbacks per se, but its forum activity pales in comparison with sites such as Digitalpoint. On the other hand, as active as the community is at Digitalpoint, many of the forum members tend to be a bit cliquish, with online behavior sometimes bordering on the juvenile. While the site is still a great resource for coding and other related issues, it may take a lot of wading through the muck to get the information that you need. Thanks for the write-up. I'd be interested to understand your criteria regarding "Digitalpoint is the superior site in terms of purchasing websites and domain names". For the statement to be correct, I'd humbly suggest it would need to exclude the number of truly active listings, % of website listings where the website is still live (Flippa is 100%), % of listings where ownership has been verified (Flippa is %100), % of websites with verified Google analytics Stats, % of transactions with escrow integration enabled, website/domain clearance rates, average views/bids per listing, and customer support response times. Sharethis vs. Addthis: Which is better?